Amory Clay’s first memory is of her father doing a handstand – but it is his absences that she chiefly remembers. Her Uncle Greville, a photographer, gives her both the affection she needs and a camera, which unleashes a passion that irrevocably shapes her future. She begins an apprenticeship with him in London, photographing socialites for magazines. But Amory is hungry for more and her search for life, love and artistic expression will take her to the demi-monde of 1920s Berlin, New York in the 1930s, the Blackshirt riots in London, and France during the Second World War, where she becomes one of the first women war photographers. 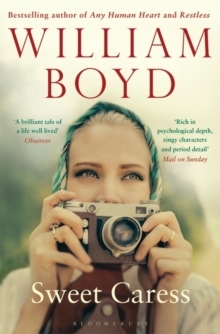 In this enthralling story of a life fully lived, William Boyd has created a sweeping panorama of the twentieth century, told through the camera lens of one unforgettable woman.